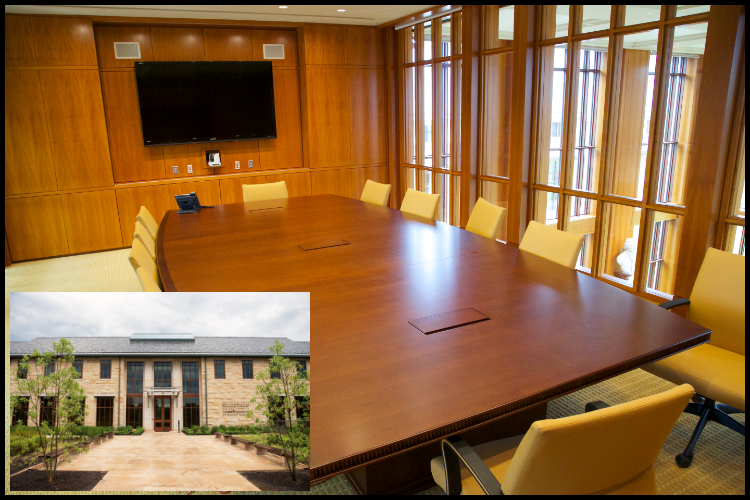 The Robert W. Plaster Conference Room will promote a deeper look into the life, legacy, and leadership of George Washington. The project is a part of Fred W. Smith National Library for the Study of George Washington. A state-of-the-art facility that not only houses volumes of books, documents, letters, and manuscripts on the life of George Washington, but it will also be used to host training and leadership seminars for executives, senior government officials, corporations, nonprofits, teachers and students.